Your Alexapure Breeze air purifier will let you know when the filters need changing with its built in indicator. However, plan to replace these filters every 9 to 12 months if you use your Breeze on a daily basis. 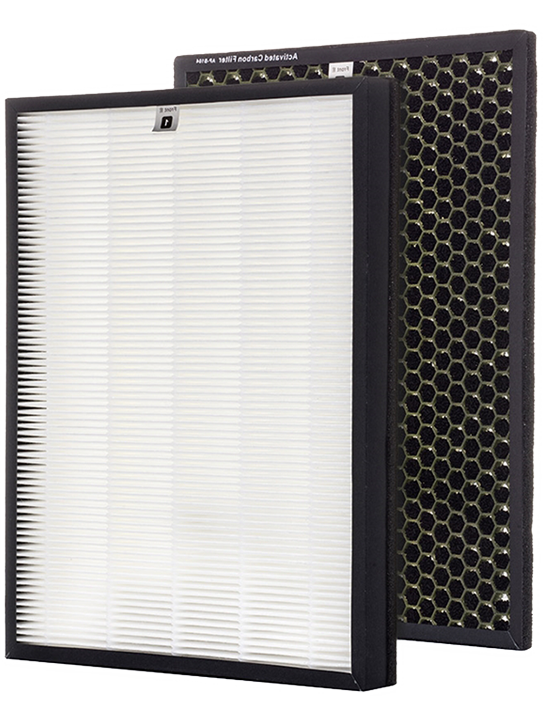 The patented IonCluster and Triple Layer Filter technology creates a 4 stage purification system that eliminates 99.9% of dust, dander, dirt, bacteria, viruses and odors. Phase 1: Pre-Filter removes large particles of dust and hair. Phase 2: Activated Carbon Compound Filter removes volatile organic compounds, airborne chemicals and odors from smoke and pets. Phase 3: True HEPA Filter removes 99.97% of contaminants as small as 0.3 microns. Phase 4: IonCluster destroys microbes, bacteria and viruses safely without releasing ozone or other harmful chemicals or gases.